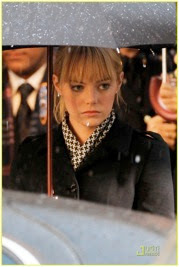 Marvel’s latest hit, The Amazing Spider-Man, is a much-needed reboot of a much-beloved superhero. In this film, Peter Parker (Andrew Garfield) plays a nerd-turned-vigilante who juggles between fighting the Lizard and courting Gwen Stacy (Emma Stone), the girl of his dreams. If you find yourself envying Gwen’s cool, modern style, you’ve come to the right place. 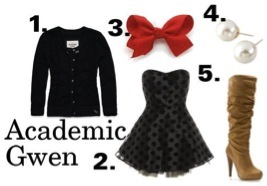 Here are some outfits based on the blonde, blue-eyed bombshell. 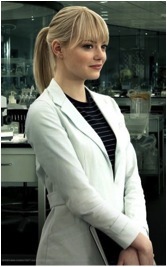 Clearly, Gwen Stacy is a laid-back, yet stylish young woman who knows how to get what she wants, including New York’s hottest superhero. Her look is reminiscent of the mod fashion of the sixties as well as contemporary city chic. 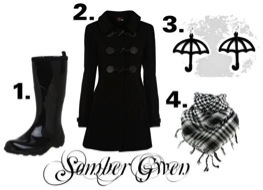 If you’re looking for something a bit more sophisticated, take a tip from Gwen, and go for classic.